The Japanese giant, Coincheck kickstarts a project to reimburse the victims of a hack that cost users of $530 million in January. Coincheck, through a blog post, announced that it is making efforts to refund users what they lost during a hack. The post states that the users will be refunded at the rate of 88.549 yen per NEM token. This is in line with the original compensation plan. The exchange confirmed that its platform was hacked on the 26th of January and made an announcement about a compensation plan that would involve a payout of about $420 million. During a press conference on Thursday, last week, the COO and CEO announced that this week would mark the beginning of the compensation plan. This will be in response to the numerous class actions suits the exchange has faced and the probe by the Financial Services Agency. Today, Monday 12th of March, the exchange announced that it would resume withdrawals and trading of cryptocurrency. However, only trading for ETH, XRP, BTC, BCH, ETC, AND LTC will resume. Efforts are being made by the exchange to resume other services from other assets. As Coincheck struggles to get its services up and running, new reports reveal that the exchange may have been compromised long before the hack. The breach was from malware in the internal computer systems. 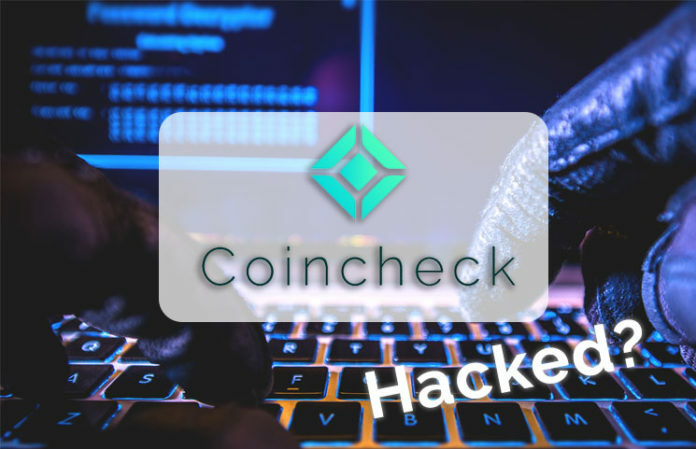 Reports show that hackers had sent phishing emails to employees at Coincheck earlier that month. The virus was injected into the emails that were clicked by the staff. The hackers gathered private keys to large sums of NEM before they performed the attack. Coincheck had the window to prevent the attack by detecting the communication between external servers and its system, but it didn’t. Their lack of security isn’t impressive and was what sparked the probe by the FSA.